Every summer we love to try out new pasta salad recipes, but this easy pea pasta salad remains one of our favorites year after year! 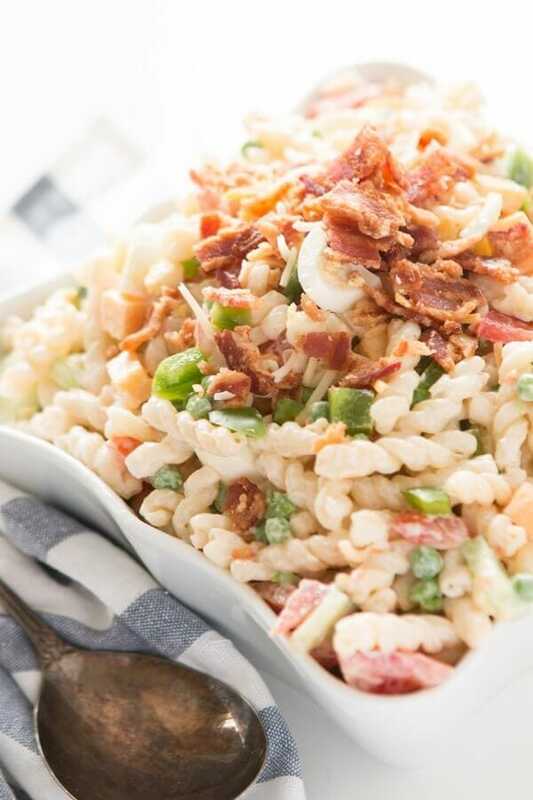 Everyone loves that 7 layer pea salad recipe, but if you’re going to make it the southern way Cade’s mom says to make it a pasta salad. I guess pasta salad is totally a comfort food thing in the south and I’m totally on board with that! This pea pasta salad is a huge hit at our house and we know you’ll love it too. The post Easy Pea Pasta Salad appeared first on Oh Sweet Basil. Nice recipe. I like the idea of adding crispy bacon to add crunchy texture and flavor.